Starting off this week’s Friday Pokemon Announcements post with a couple Miki related announcements. A new shirt design is currently available in my Teepublic store, and will be 30% off for the next 2 days! 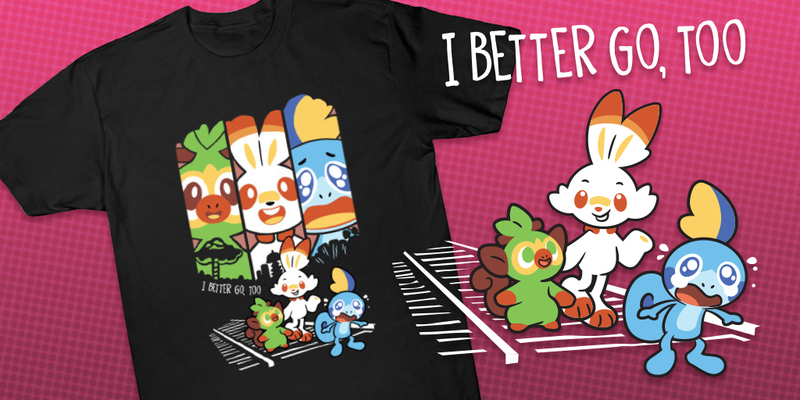 This shirt is a shout out to the Stand By Me reference you can stumble across in Pokemon games if you have a boy protagonist (for whatever reason, girl protagonists will get a reference to The Wizard of Oz). I love both Stephen King and Pokemon so I thought this was a cute way to incorporate both of my loves in one design. 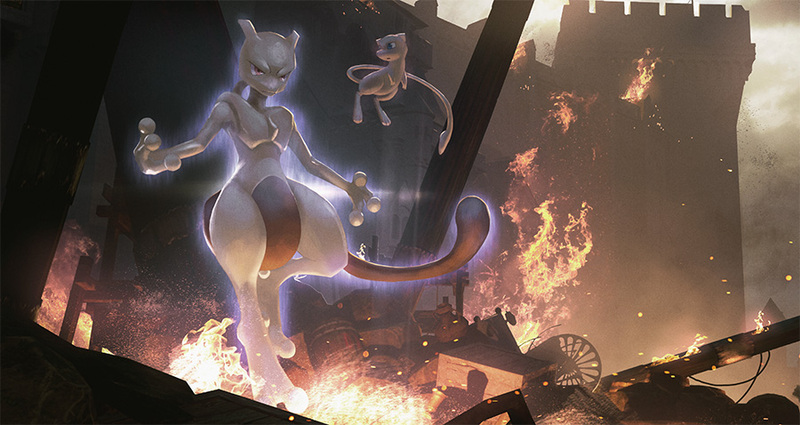 Hype is already starting for this year’s Pokemon summer movie: Mewtwo Strikes Back: Evolution! 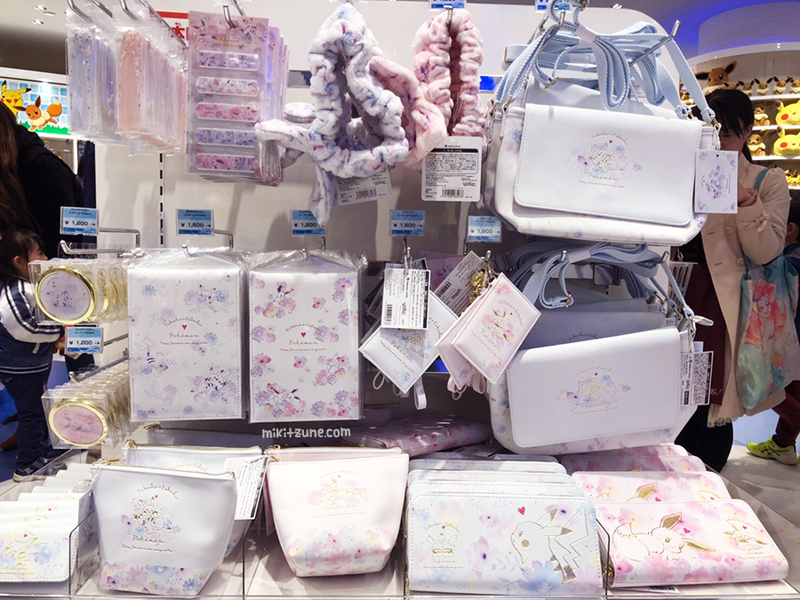 Although there will certainly be more merchandise coming out the day the movie releases in July, here is a small taste to whet your appetite for Mew and Mewtwo. 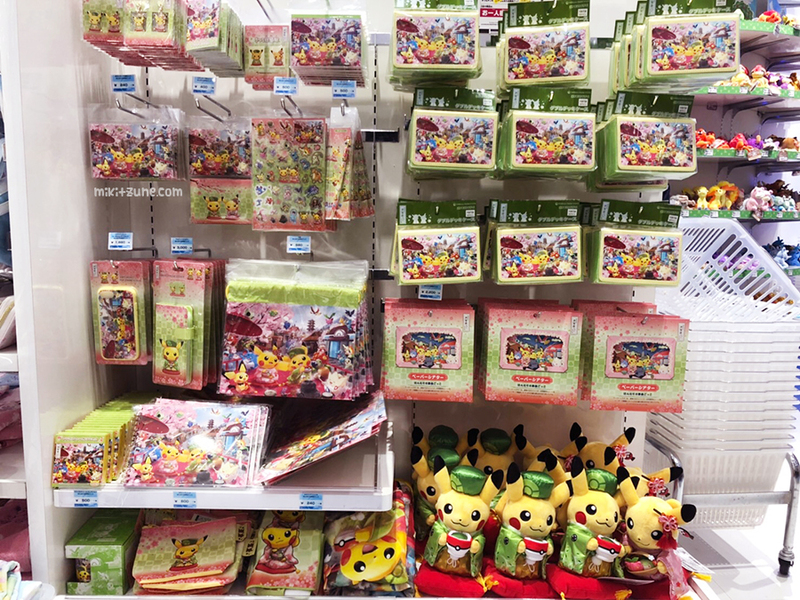 These items will go on sale at all Pokemon Centers & Stores around Japan April 13th (Saturday). Of extra note is the 1:1 size Mew plush included in this release. There will be also two give-away campaigns taking place at all Pokemon Centers & Stores around Japan starting mid April. 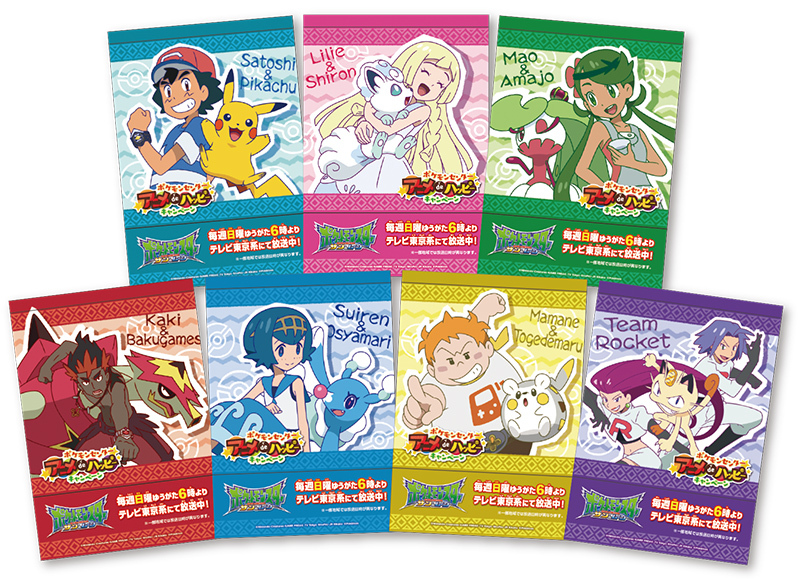 Starting April 13th (Saturday), all visitors to either a Pokemon Center or Store location will receive 1 free sticker. You do not have to buy anything, you just have to show up. These stickers will be given away 1 per person, randomly, with 7 designs in total. Starting April 27th (Saturday), all Pokemon Center & Store customers will receive a Mewtwo Strikes Back Evolution themed shopper with their purchase. Both these campaigns are, as usual, while supplies last, although the shoppers tend to stick around for a fairly decent amount of time. 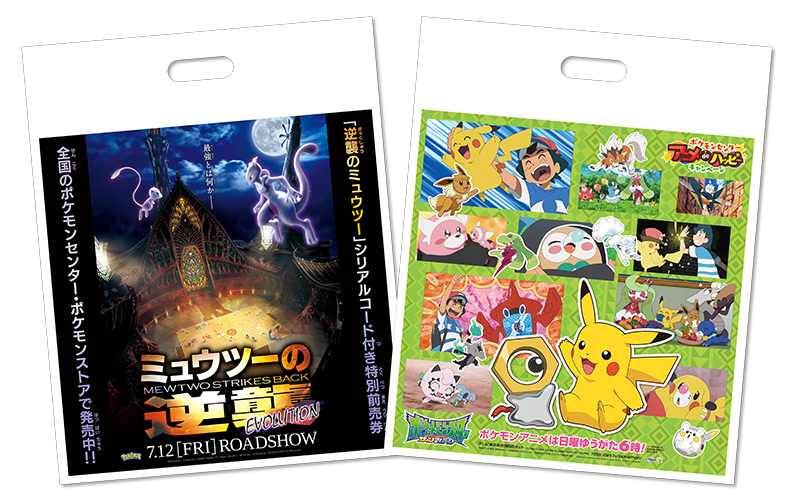 That wraps up this week’s Pokemon Center merchandise announcements! March 23rd (Saturday) brought some good news and some potentially surprisingly bad news. Let’s start with bad first because why not. Saturday morning dawned as usual and people all over the world got ready to open up the Pokemon Center’s On-Line store to get some adorable pokedolls. Except… suddenly, the Japanese store was declining all non-Japanese issued credit cards! Seeing the trend and also contacting the Pokemon Center’s customer service directly led to the news that the On-Line Center’s list of cards it accepts is now much smaller than it previously was. The website says that “some foreign cards might not work” I guess to cover their butts because there are still some cards that work as well as before. If you were buying directly from the Center’s On-Line store and using a shipping service to get your stuff, you might need to find an alternate work-around because this might not work anymore. The big seller for the day was Scolipede. This adorable centipede stole everyone’s hearts, but how can you not fall for that little bug face? He was the first to sell out on-line and by Sunday was sold out basically everywhere, with his re-sale price currently around quadruple his shelf price. 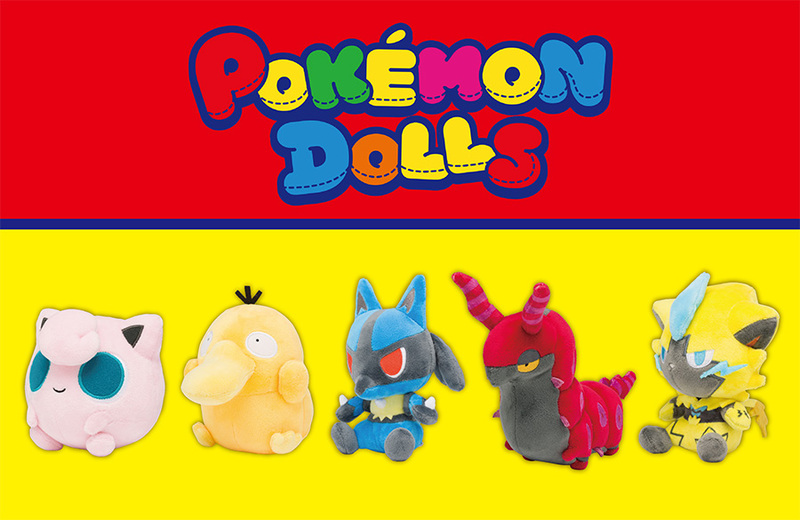 Along with Scolipede, the other Pokemon included in this batch of Pokedolls included Lucario, Zeraora, Psyduck, and Jigglypuff. I personally am not the biggest fan of how Lucario turned out (his nose is a little weird) but Psyduck makes up for it by being cuter than usual! And of course there were also mascot size versions of Zeraora, Lucario, Psyduck, and Jigglypuff as well. These mascot plush are extra squishy and soft (and tiny so extra adorable). 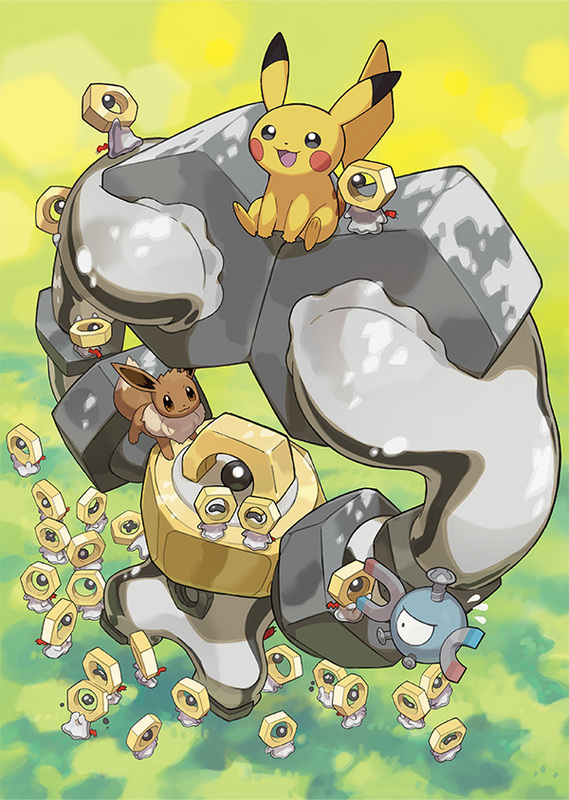 Along with the Pokedolls, a small Meltan & Melmetal themed promo also came out March 23rd. This week, I finally realized why the Pokemon Center was once again late with announcements (daylight savings, whoops). On one hand, I’m glad I remembered that Japan is now 13 hours ahead instead of 14. On the other hand, thanks for nothing, daylight savings. What have you ever done for me? For those wondering what happened last week, we can’t blame it entirely on daylight savings; there really wasn’t anything announced merchandise wise. We are, however, back in business this week, although with only one main announcement! 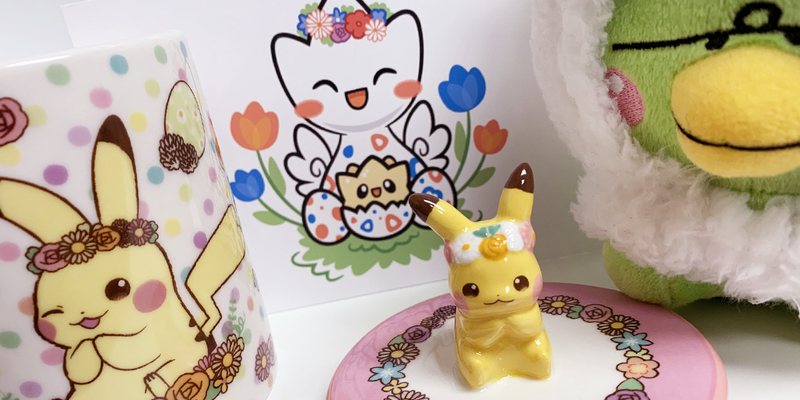 There are couple items that started distribution March 21st (Thursday) in conjunction with ticket presales for the “Detective Pikachu” movie that opens in movie theaters in Japan May 3rd (Friday). These items are designed to be sold alongside movie tickets and are exclusive to various stores. 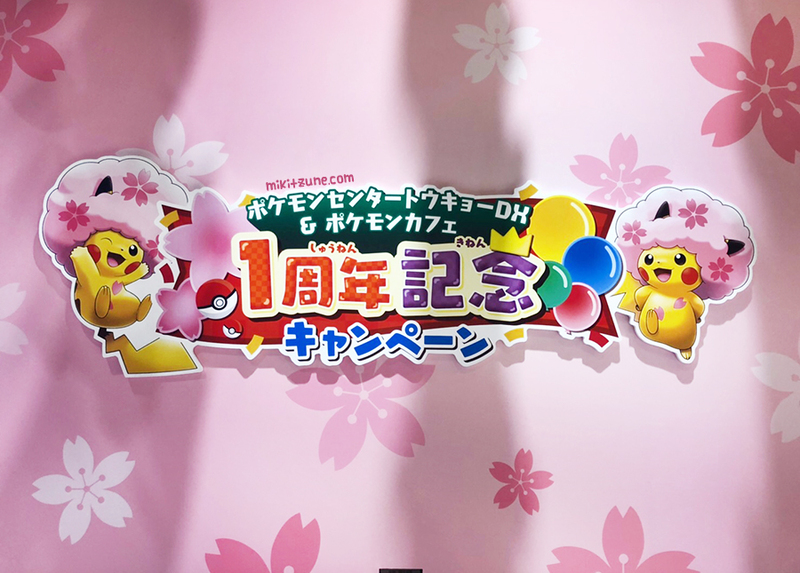 The Journeys Pokemon Center original promotion will continue for a second year in a row. 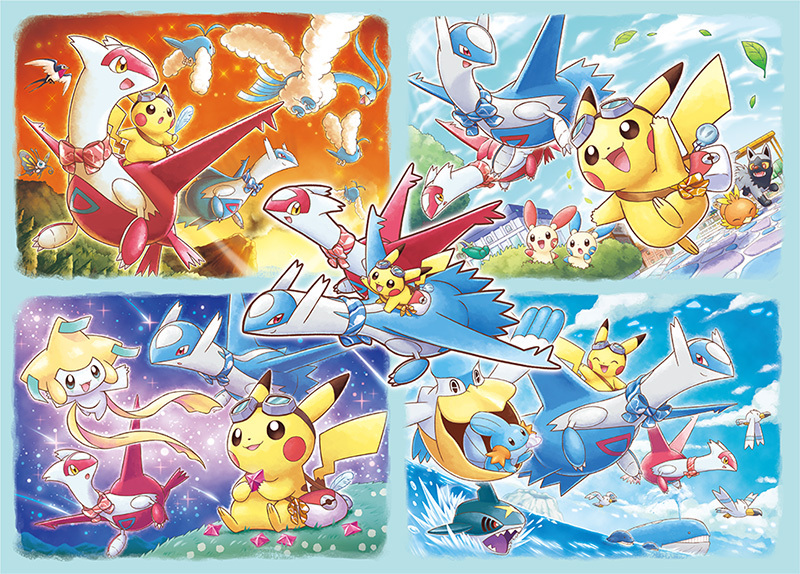 For those who forgot, last year’s traveling companion was Lapras – this year, Pikachu will adventure around the Pokemon world with Latios and Latias, with merchandise going on sale at all Pokemon Centers and Stores around Japan April 6th (Saturday). That wraps up this week’s Friday Pokemon Announcements! 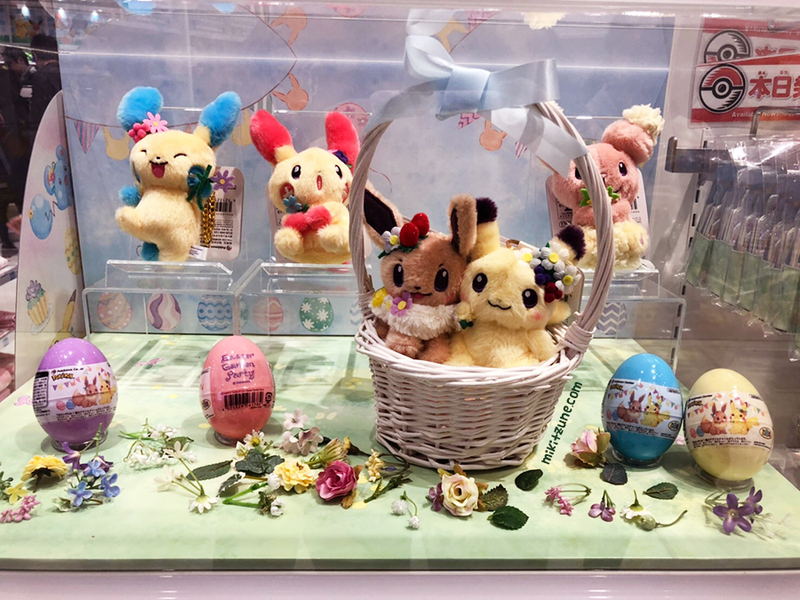 The Pokemon Center announced five new additions to their Pokedoll series, which will be released at all Pokemon Centers & Stores in Japan March 23rd (Saturday). The line-up includes Jigglypuff, Psyduck, Lucario, Scolipede, and Zeraora, with plush and mascot plush versions available of each. Pokedolls will cost 1,296 yen each including tax. Mascot Pokedolls will cost 1,058 yen each including tax. 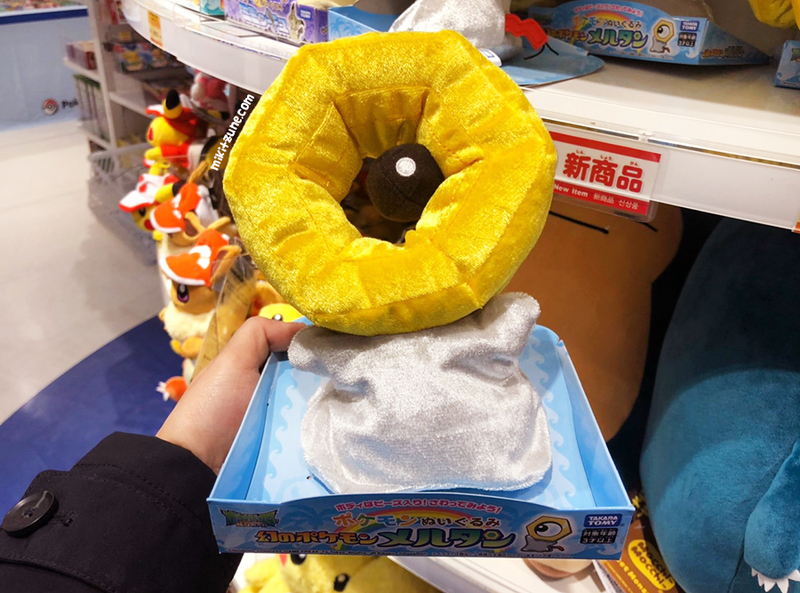 The first official Pokemon Center merchandise of Meltan and Melmetal will go on sale at all Pokemon Centers around Japan March 23rd (Saturday). 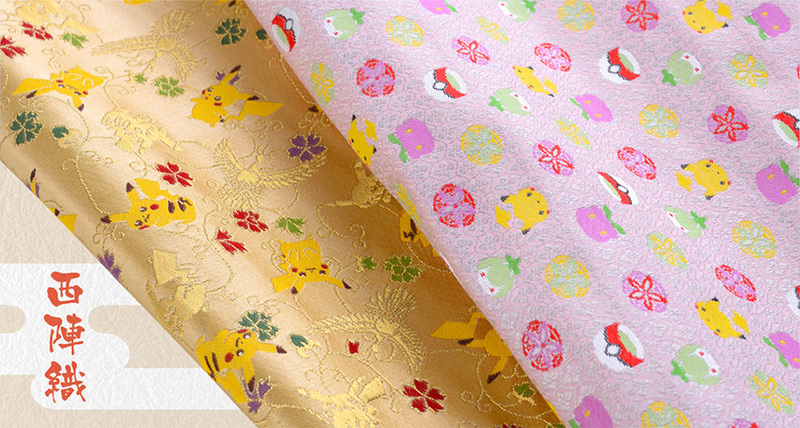 A small collection of Nishijin-Ori (Kyoto based traditional Japanese textiles) Pokemon inspired items will go on sale exclusively at the Kyoto Pokemon Center March 16th, alongside the re-opening of the Kyoto Center. 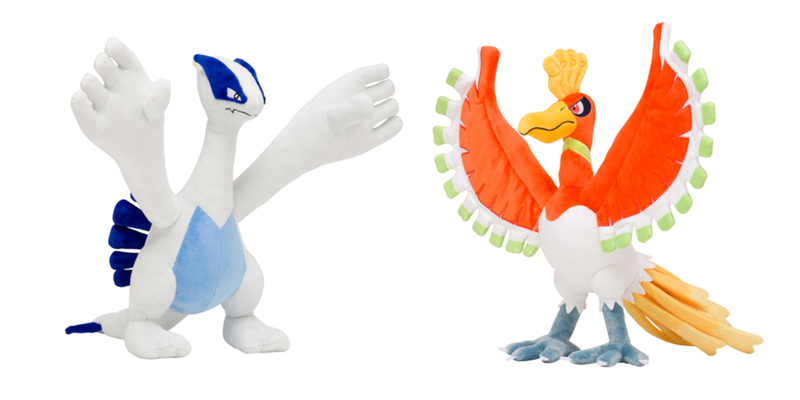 Last but not least, Pokemon Center exclusive plush of Lugia and Ho-oh will go on sale this weekend (March 9th) – surprise! Each plush will cost 3,780 yen including tax. That wraps up this week’s announcements!